What do an aardvark, babboon, camel and dove all have in common? 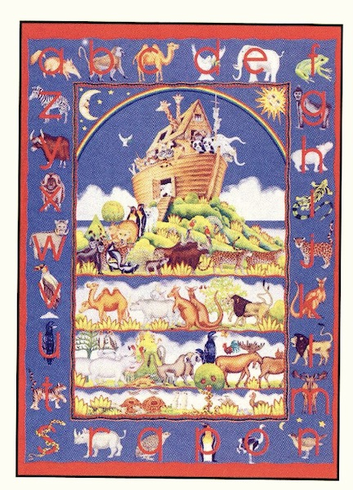 They are all on this excellent ABC ark puzzle. Can you find the rest? Well put this 48 piece floor puzzle together and find out! full puzzle measures 24"x36". This puzzle is Eco-Friendly and printed with Soy-Based Inks on Recycled Board. Proudly made in the USA.